Upon graduating from the University of Ulster with a 2:1 degree in Law with Government and qualifying as a Solicitor from the Institute of Professional Legal Studies, Catherine then joined the HHD team in early 2016. 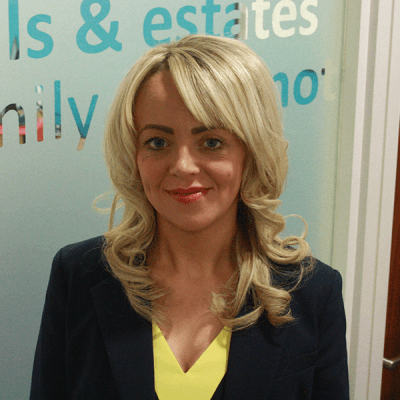 She is an experienced Solicitor in the area of family law and specialises in advising clients on divorce, separation, dissolution of civil partnerships, matrimonial agreements, domestic violence, non-molestation orders, occupation orders, residence (custody), contact (access), prohibited steps and specific issue orders, social services matters, paternity issues. She places a focus on client care and building a strong rapport with her clients in order to provide effective advice and guidance. She is an accomplished advocate, dealing with cases on a daily basis before all tiers of the Family Court system including the Family Proceedings Court, the Family Care Centre and the High Court, often involving matters of a complex nature. She is a member of the Law Society of Northern Ireland’s Children Order Panel. With a keen interest in human rights and social justice issues, she holds an LLM in Human Rights Law from the Transitional Justice Institute, University of Ulster and is a member of the Belfast Solicitors Association, Northern Ireland Young Solicitor's Association, Law Centre NI and Human Rights Lawyers Association.